Furloughed feds in D.C. have been sitting idle for nearly two weeks. Frustrations have been high, and many are itching to get back to work. The civic hacking group, Code for DC, took this opportunity to tap into the technical expertise of these feds by hosting the Code for DC Shutdown Hackathon. The mini-hackathon offered furloughed employees, civic hackers and others a chance to work on one of their own local community projects. Code for DC, founded by Matt Bailey and Justin Grimes about a year ago, has been a watering hole for hackers looking to make a splash in local community projects, especially in hyperlocal D.C. government. 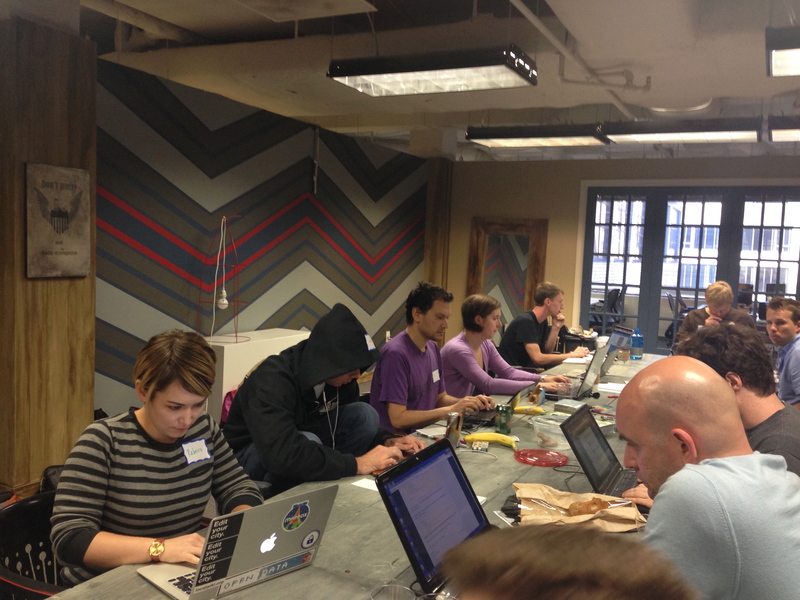 The idea for a hackathon came to Grimes a few days into the government shutdown. He worked together with Leah Bannon, a member of Code for DC, to put together the event and gather feds. Once the word got out, the event took off the ground and created a lot of buzz online. Bannon said the goal for this hackathon was to take the biggest chunk possible out of the work to be done in the local projects Code for DC works on and move them forward. The hackathons are also an opportunity for unique skill sets to come out of the woodwork, as Bailey put it. For example, a furloughed federal statistician who signed up for the event brings something entirely new to the table. One of the hardest parts about setting up the event was finding a location. Most of the government spaces were closed and the private sector locations weren’t available during business hours. Bannon said it all came together in a brief window Friday afternoon when they nailed down a location at 1776. The hackathon, which is taking place 1-9 p.m., Oct. 14, had 50 hackers RSVP in the short time span the event was finalized. Two hours into the event, 20 hackers had already showed up, and another wave of hackers was expected after the work day ended, according to Bannon. Code for DC has been gathering traction in the past year, and it meets in D.C. bi-monthly to work on several hacking projects. One one of the reasons Bannon said they have such high expectations for the Shutdown Hackathon event; instead of getting the hackers after work for a few hours on a weeknight, this event attracted people who have more free time on their hands — and a real desire to work.